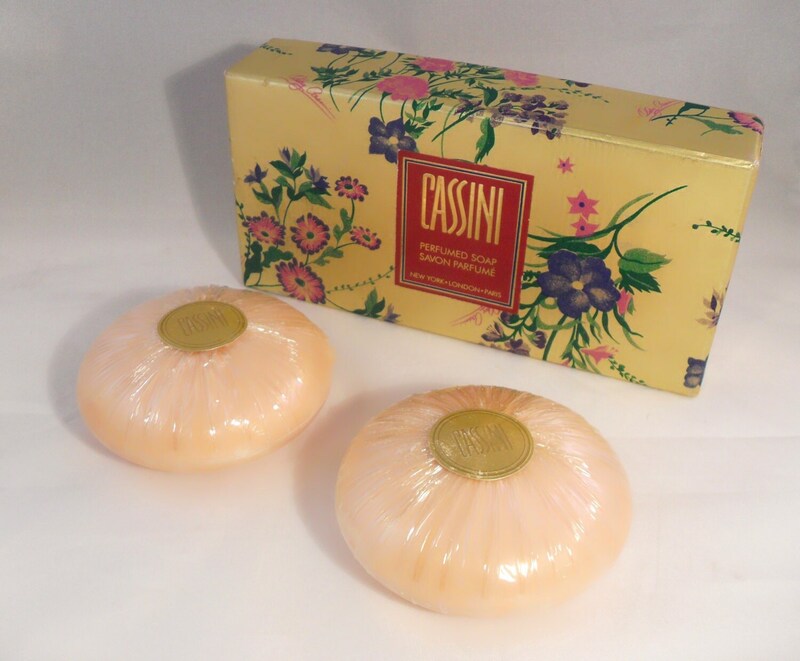 Vintage 1990 Cassini by Oleg Cassini two bar perfumed soap set with box. 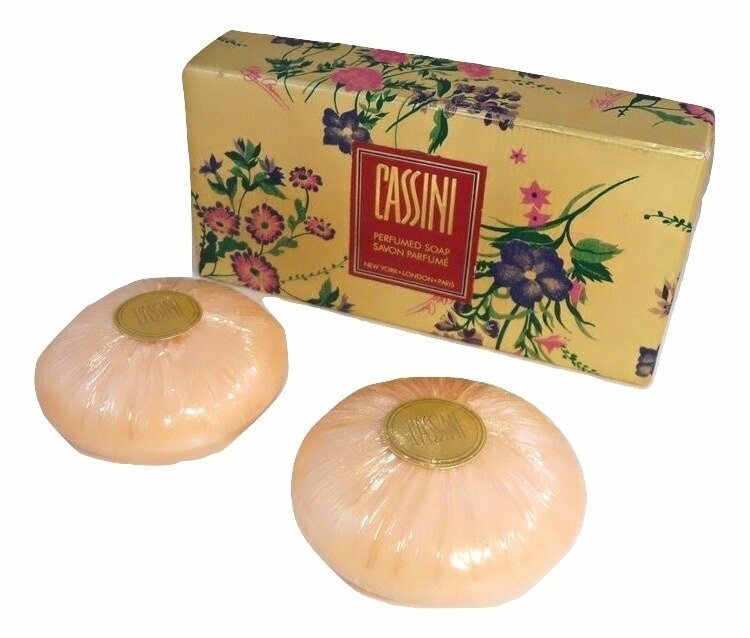 Never used, each soap is still covered with cellophane. 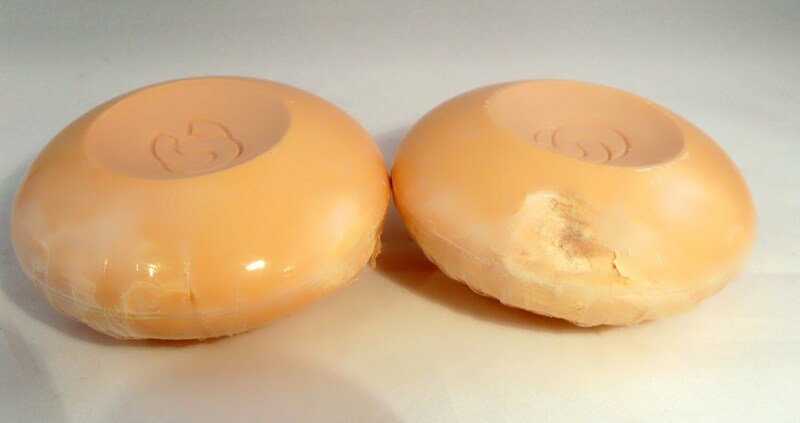 Both soaps have some bumps from storage and one bar has a chip out of the side (see photo). Cassini was launched in 1990. 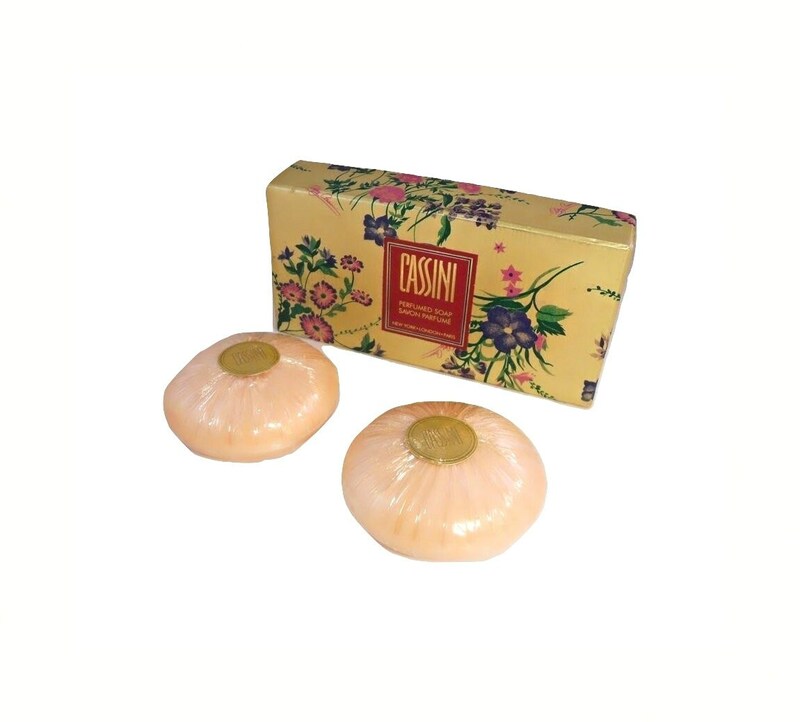 It is classified as a floral oriental fragrance for women. Base notes: leather, amber, patchouli, musk, coconut, civet, oakmoss, vetiver and incense.